I’m saying this is an unreleased prototype since I can’t imagine what else it could be. 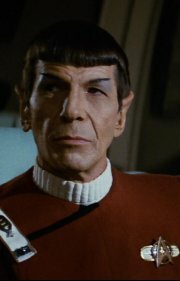 There is a lot of guess work in this blog, and if anyone has more info on this item, I would love to hear about it. 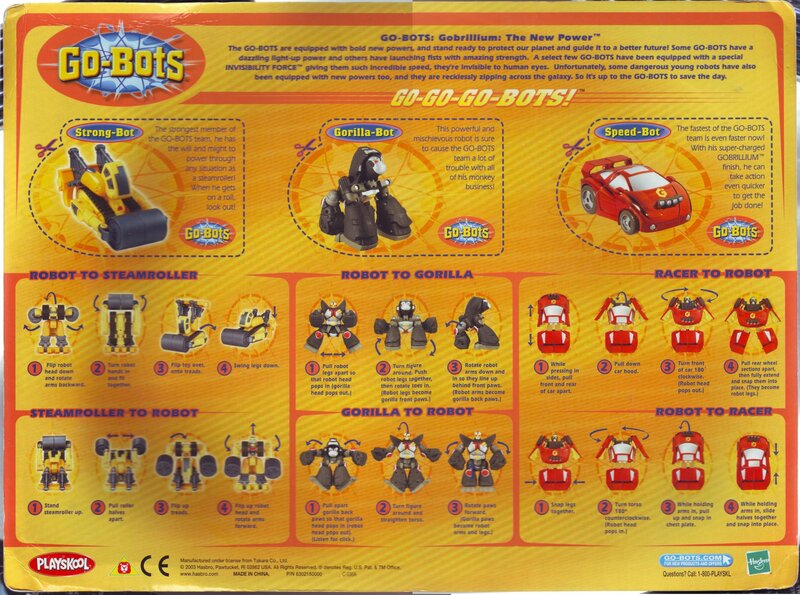 Nearly all the Playskool Transformers Go-Bots info in this blog I got from www.gobotsarepurelove.com. 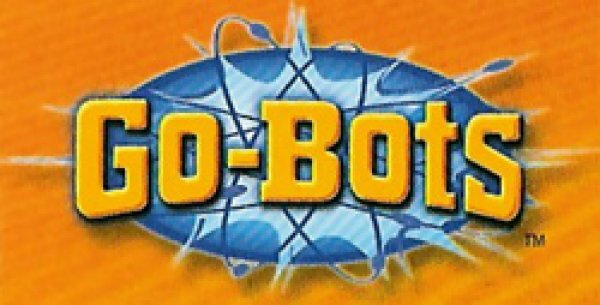 It is without a doubt the best source for information on Playskool Go-Bots on the Internet. A couple of weeks ago I saw the above Go-Bots three pack on ebay. Having never seen it before I contacted the owner of http://www.gobotsarepurelove.com. 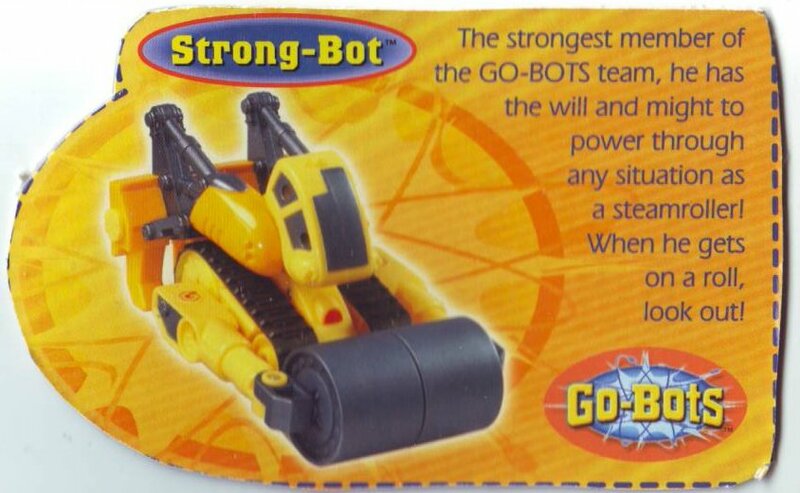 Not only had he never heard of it, but he pointed out to me that the Strong-Bot in the set was not the regular released version, but the Steamroller version that until then was thought to only have been released in Japan. Since I have been looking for Randy (the Japanese steamroller) for a very long time, I bid on and won it. It went pretty cheap too, only $20.50. 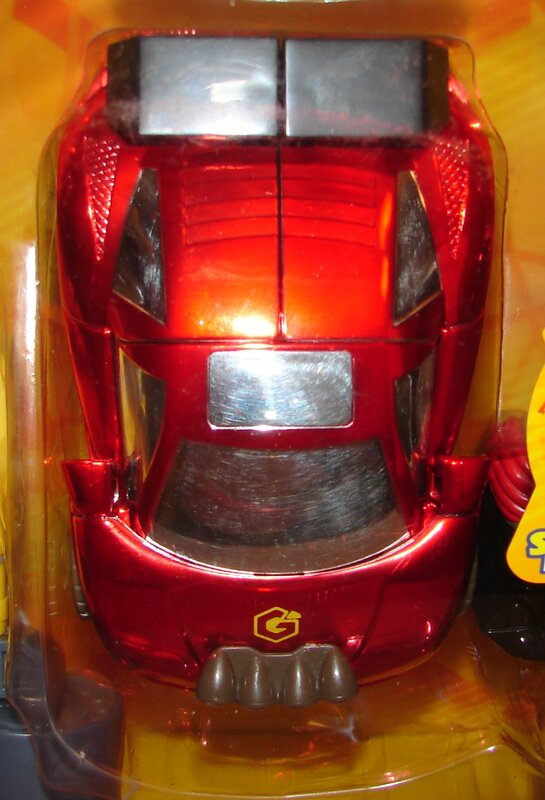 I e-mailed the seller, who had said in the auction that he was selling these from a friend, and the seller confirmed that this did belong to someone who worked at Hasbro. While it could have been an aborted item that was sold in the Hasbro Employee’s Store, if that were the case, I think it would have surfaced before. This leaves a prototype as the only other option I can see. 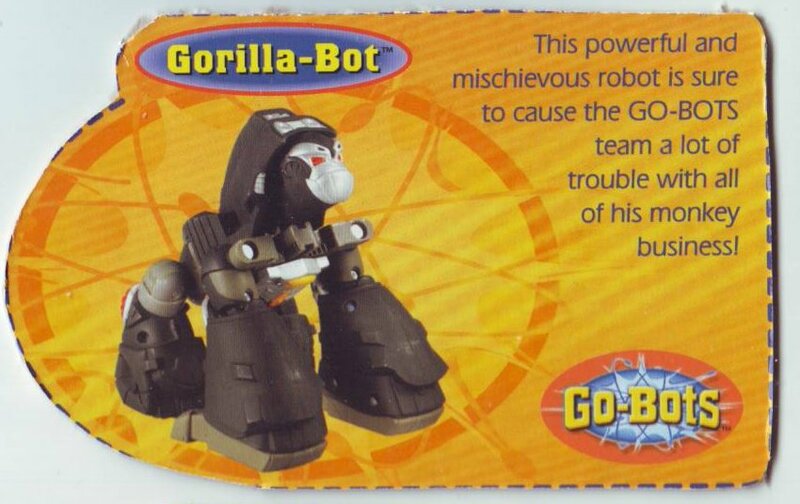 This sounds very plausible when you look at the toy itself. 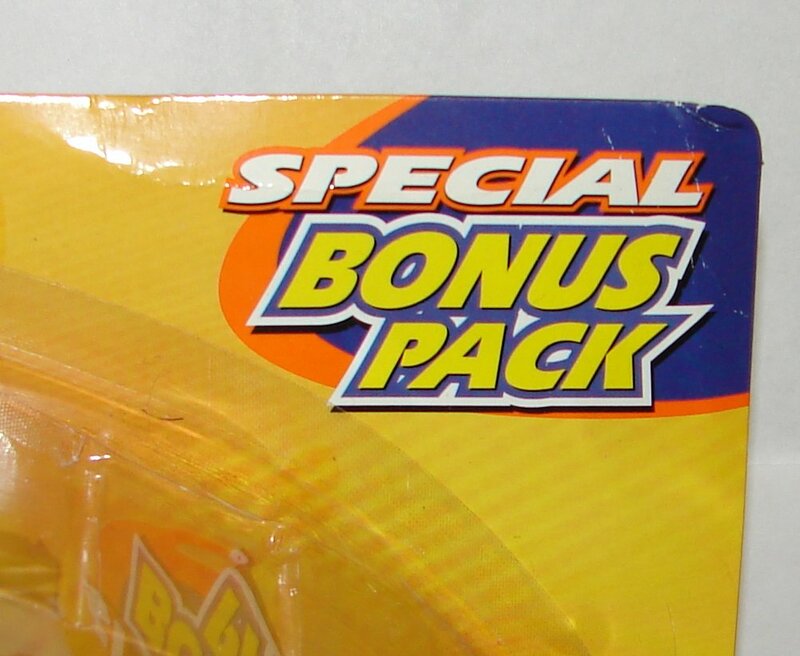 The package is dated 2003 and is in the packaging used from 2003-2004. 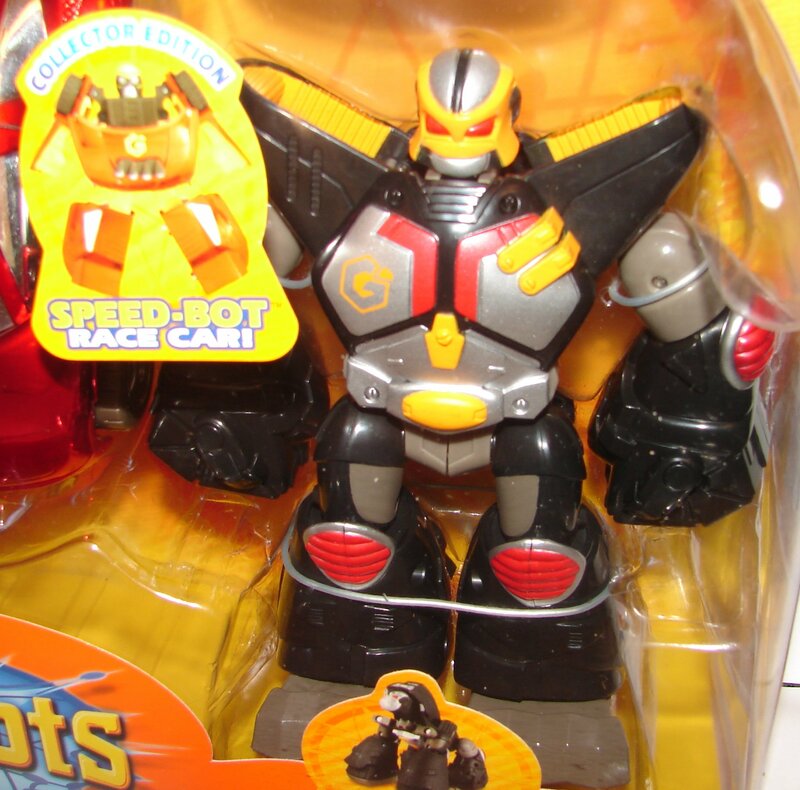 We know that during the period of 2003-204 there were several toys produced but not released. 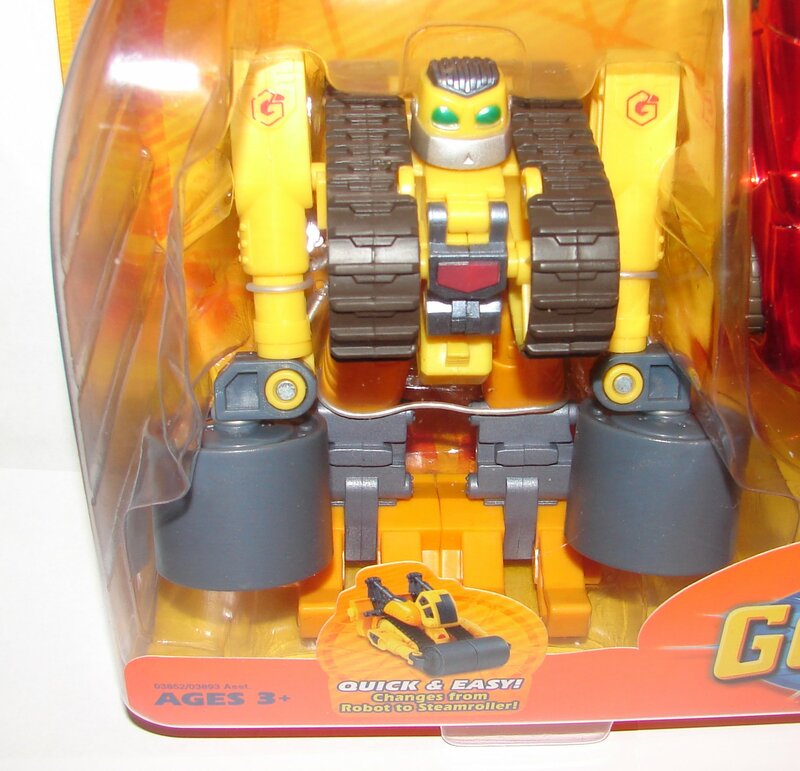 The second wave on Invisibility Force was manufactured for release in 2004 in the same style packaging, but was not released until late 2005 when the line was canceled. 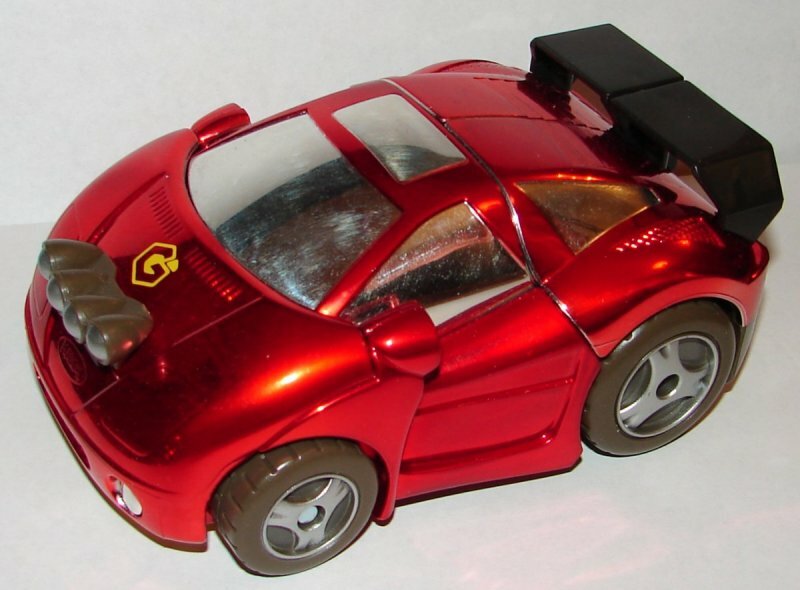 Similarly the last wave of Racers was produced in 2004 and released in late 2005 in the UK. When you look at the cross sell, the connection with this exclusive becomes apparent. The cross sell includes both the second wave of Invisibility Force and the last wave of Racers. With this being produced around the same time, it is logical to assume that this too was a planned release for around the same time and was canceled. This gets more interesting when you look at the specific toys in the set. It’s not easy to look at the details in the package, so there was only one thing to do. Yup, I opened it. It could even be a one of a kind prototype, but I don’t care. 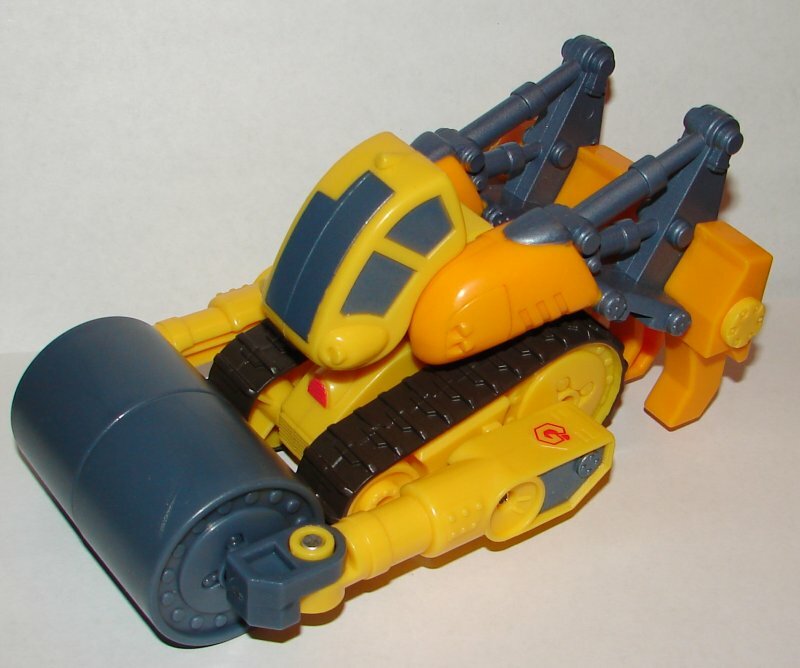 I don’t have the Strong-Bot steamroller mold on my shelf, and now I do. 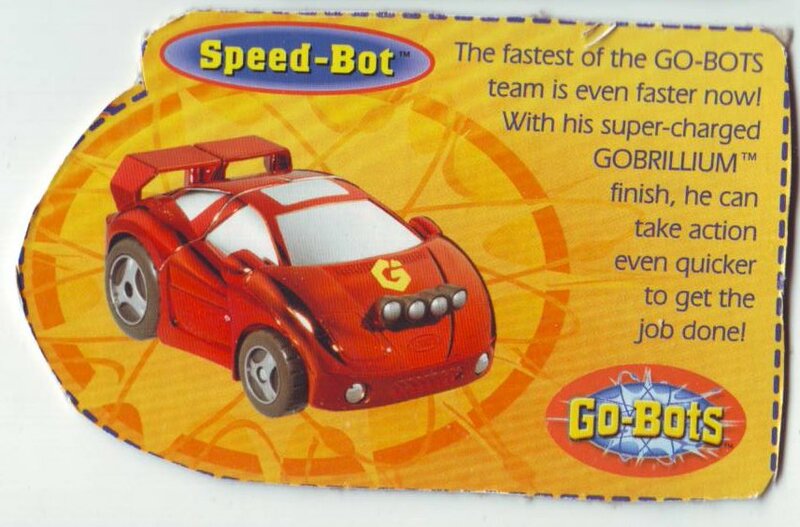 Gobrillium Speed-Bot was released as TRU exclusive in 2004. They used the orange and green packaging that was used from 2004-2005. 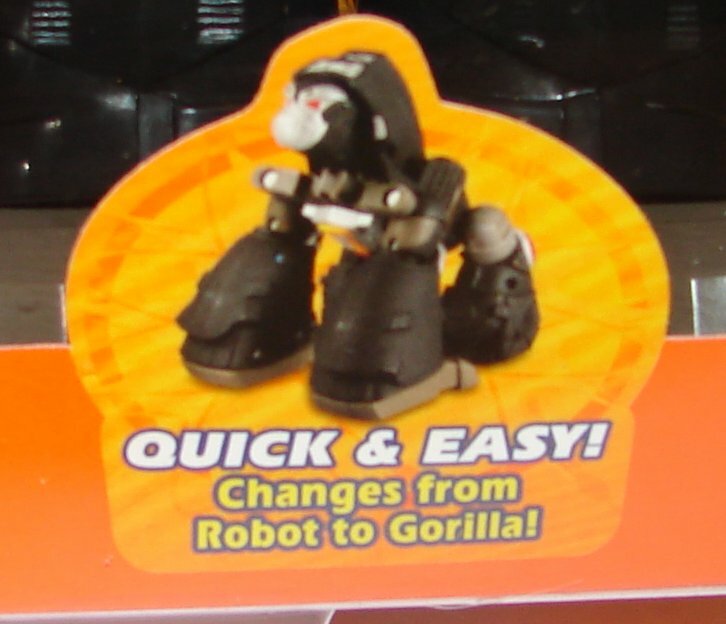 Gorilla-Bot was released in 2005, also in the new orange and green packaging. Note: This means that the tech specs from this set are unique, as they looked different on the new packaging. 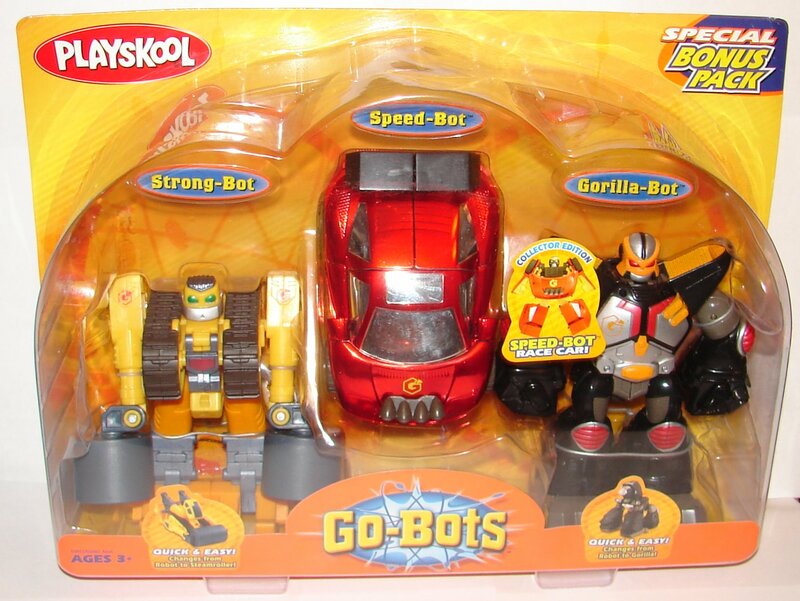 This set clearly predates both the Gobrillium Speed-Bot and Gorilla-Bot single carded releases. 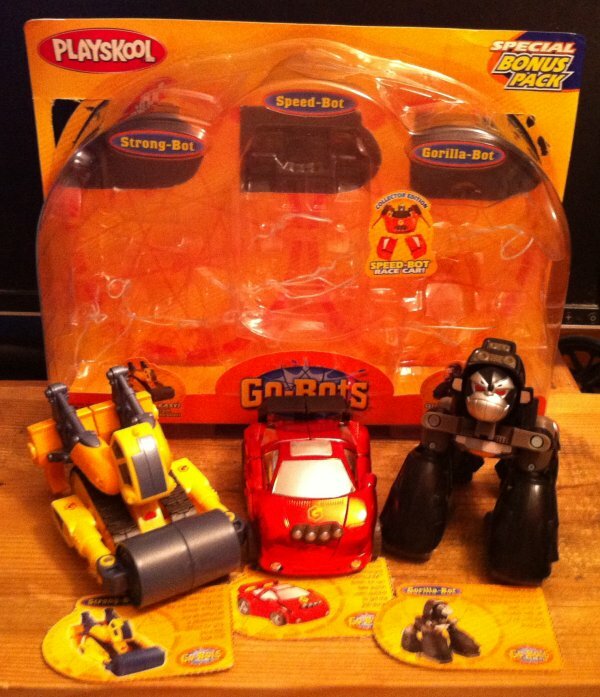 The toys appear identical to the single releases, so it is possible they were produced in 2003-2004 and then later packaged in new packaging. That’s just a guess, but it makes sense. 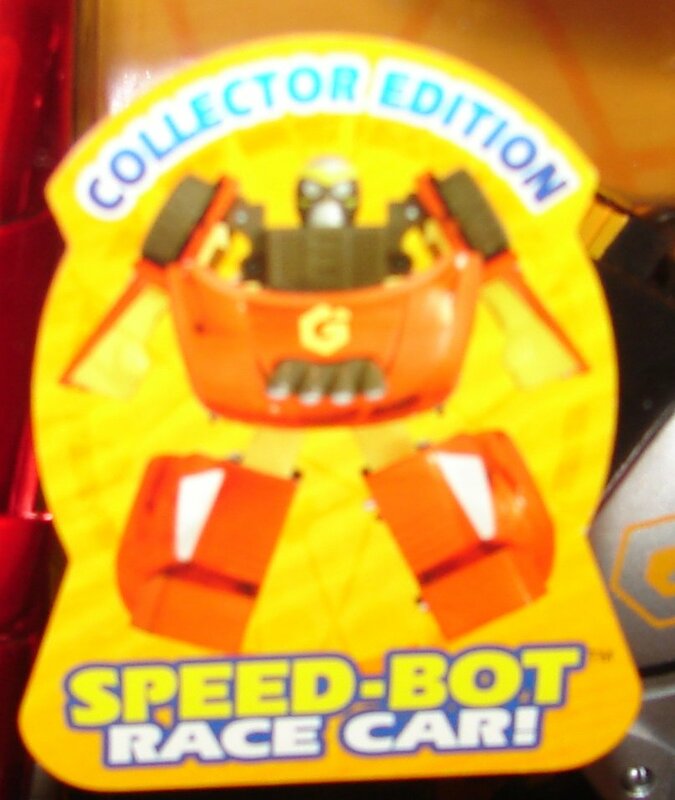 The date stamping is of no help as these molds (or a slightly different version of Speed-Bot to be accurate) were both first released in 2001 and both toys retain that stamping. Strong-Bot is the most interesting. 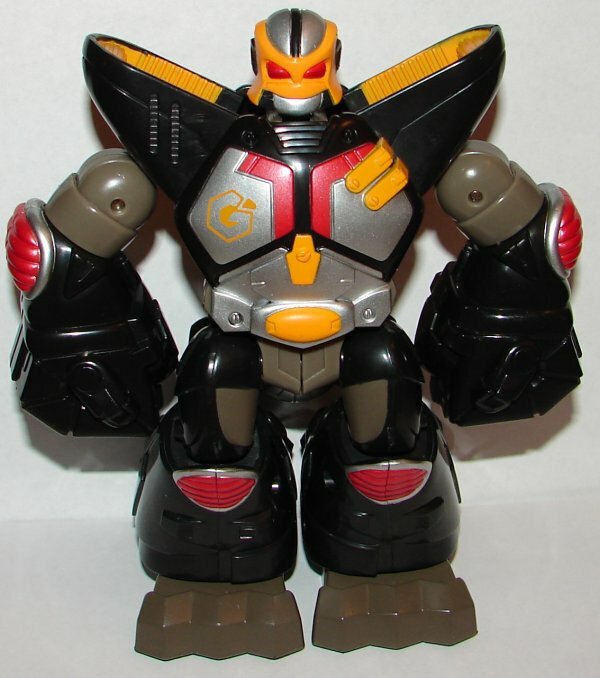 As I noted earlier, Strong-Bot uses the steamroller hands, which was only released in Japan. Apparently it was going to be released in the USA. My guess is that if the line had not been canceled, we would have seen this as a single carded release in the next wave or two. That’s just a guess, but the other ones were, so it would make sense. He does retain the 2002 stamping of his original release, so that isn’t any help. Since they never showed up, there is no way to know if they were produced at all. 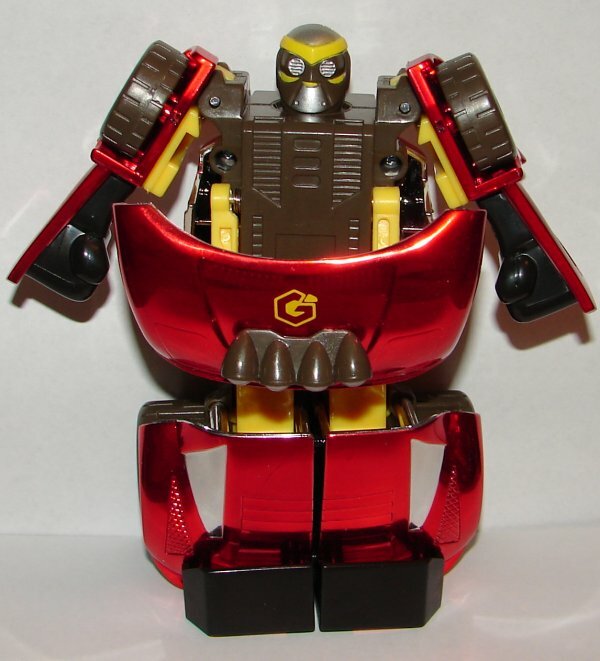 Notably, he has the “G” Go-Bots logo instead of the Autobot logo seen on the original version of Strong-Bot, so this isn’t a prototype, and original with swapped hands, which was the first thing I thought of until I noticed the logo. The one on his right shoulder is missing parts of the logo. Hasbro never has been known for the quality control. 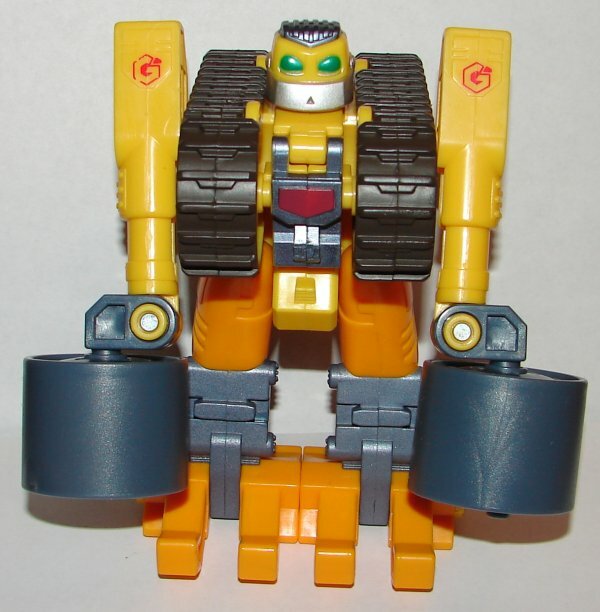 One could make an argument that this is a prototype, that they took a finished original Strong-Bot that did not have the Autobot logos on it, added the new logos, and replaced his hands, but there is really no way to know if this is the case. So, to sum it up, in my opinion, this set is a prototype, intended for release most likely in 2004. It was canceled, and two of the toys later used for single carded releases. 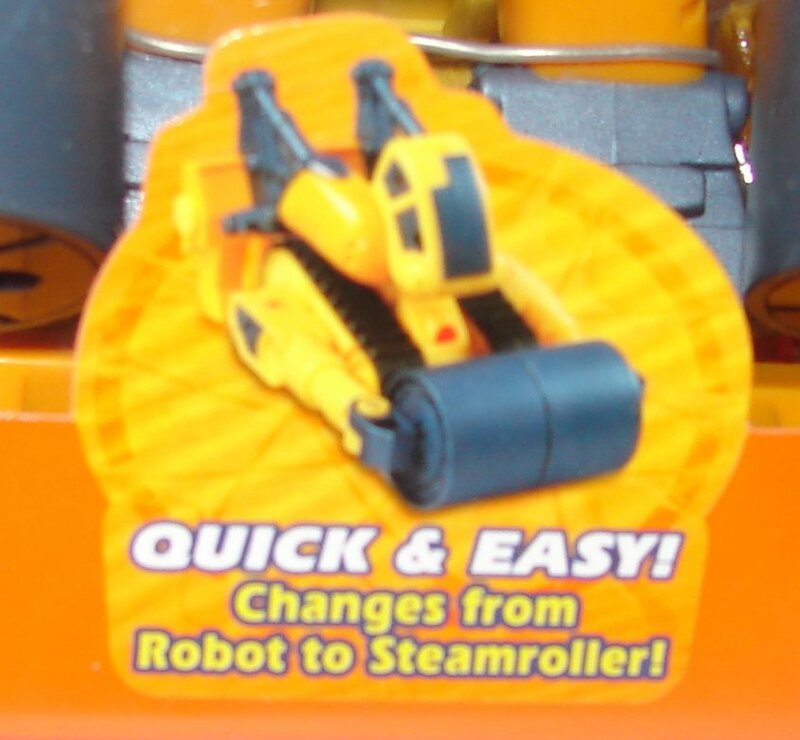 The third, Strong-Bot steamroller, was never released. If anyone has any more information on this set, I would love to hear about it. This is a lot of supposition, and I would love to have some facts about this set. Here are some more pics, perhaps you’ll notice something I’ve missed. 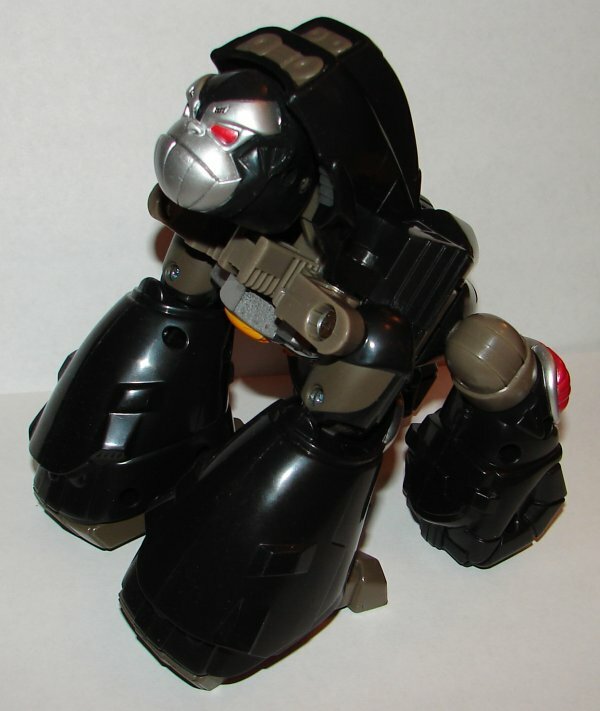 This entry was posted in Toy Reviews, Toys, Transformers and tagged Go-Bots, Gobrillium, Gorilla-Bot, Playskool, Playskool Go-Bots, Playskool Transformers, Playskool Transformers Go-Bots, Prototype, Speed-Bot, Strong-Bot, Toys, Transformers, Unreleased. Bookmark the permalink.